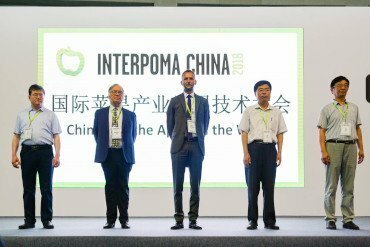 The third edition of Interpoma China, to be held in Shanghai on 15th-17th April 2019, is fast approaching and the program has now been finalized for the traditional International Congress “The Apple in the World”, a successful format that Fiera Bolzano has decided to export to China. Coordinated by expert Kurt Werth, the 2019 edition of “China and the Apple in the World” will provide an overview of production, distribution and marketing in the apple sector, giving both the international perspective – with contributors from Italy, Switzerland and New Zealand – and the Chinese view with university professors and researchers from China. From 9.30 am to 12.45 on the first day, Monday, 15th April, Kurt Werth – a consultant and expert in the apple industry from South Tyrol, Italy – will give an overview of apple production in Russia and Asia; Cheng Cungang – Research Institute of Pomology, Chinese Academy of Agricultural Sciences, National Apple Breeding Center – will then focus on the development of the apple sector in China; Roger Harker – Professor at the University of Auckland, New Zealand – will talk about the color, size, taste and price of apples; finally, Matteo Bartolini – CIA (Confederation of Italian Farmers) – will address the subject of organic farming, particularly the innovations in the European Union. On Tuesday 16th April the session will be opened by Claudio Sedivy of Wildbiene and Partner, Switzerland, with a speech on the importance of bees and the pollination process for apples; he will be followed by Kurt Werth, who will explain how the introduction of chemical thinning can reduce manual work; new requirements and development trends in the protection of apple trees in China will be the focus of the presentation by Zhou Zongshan of the Plant Protection Center, Research Institute of Pomology, Chinese Academy of Agricultural Sciences. The second day will conclude with Cherry Li, agronomist at the Chinese company Netafim, who will talk about the applications of fertigation technology in apple orchards. The final day, Wednesday, 17th April, will open with the theme of varietal innovation, presided by Walter Guerra of the Laimburg Research Centre in South Tyrol, Italy; Cong Peihua, Director of the Apple Breeding Department of the Chinese National Apple Industry Technology System, will present the progress made in breeding in China, while Alberto Dorigoni of the Edmund Mach Foundation, Italy will speak about modern farming apple cultivation systems. The Congress will close with consultant Stefan Nicolodi, who will speak on the topic of nurseries. 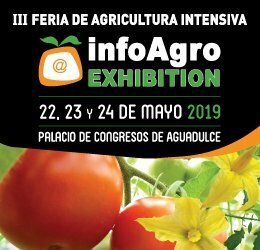 Interpoma China 2019 will thus run from 15th to 17th April: it has this year changed location and will be held in Shanghai with Fresh Logistics Asia, the world’s first event focused on the logistics of fresh and super-fresh produce, organized by Messe München Shanghai. The official partner of Interpoma China is WAPA, the World Apple and Pear Association, which has since 2001 represented the major producing countries for apples and pears throughout the world.